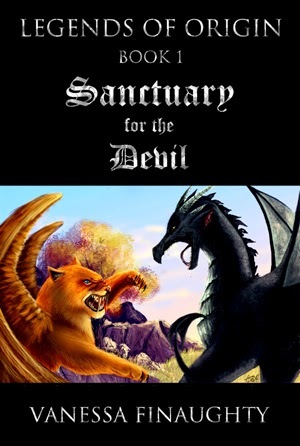 If the Devil came knocking, would you give him sanctuary? Legends of Origin is an action-packed sci-fi fantasy ebook series that explores the origins of humanity and not only our need to believe in a higher power, but also our need for each other. The story is filled with intense, flawed characters and common fantasy elements like dragons and magic, along with myriad original creatures and beings, with a little humour thrown in for good measure. The series’ MC, Liam MacAskill, teams up with Arthean, a Tridorian monk with a dark past and a heart of gold. The two seem to be polar opposites, but then, despite our many differences, is one human truly that different to another? 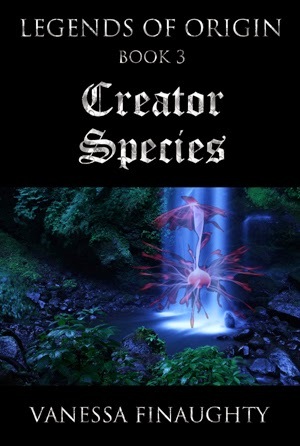 Book 3, Creator Species, is due to be published in the next month or two. For sneak peeks at pre-publication snippets, follow the author’s blog. Quick warning: The story and some of the characters’ beliefs may offend some religious readers, as might one character’s often-bad language offend some. This is not the author’s intention; it’s the nature of the theme/character. Book 1’s title hopefully gives clear warning, too. No wonder it couldn’t see the others. It probably hadn’t been created to attack them. Who would want to kill a monk? Noka dived again, then darted this way and that. The ryokin was agile and powerful. Arthean knew that Jolither could undo the magic, but it may not be in time to save him or Noka. His chest tight and breath coming in painful gasps, Arthean remembered Abbot Jergor’s dream… in which Arthean had died. I’ve evened the odds. If it comes to pass, you must fight. The dagger! Abbot Jergor had seen him die, but had given him a chance to change the future he’d dreamt of. Arthean pulled the dagger from its belt sheath and grasped it in a clammy hand, grateful that the silver studs gave him grip. He brandished the blade and clutched Noka’s neck fur so tightly that his hand went white. 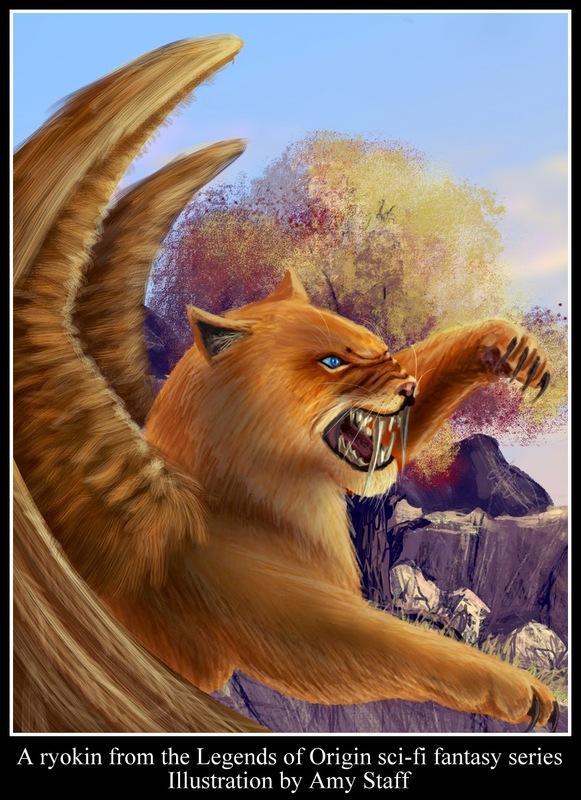 The shadow creature slammed into them from behind and Noka was flung forwards. The shadow pounced, semi-solid in that moment. Arthean swept the dagger at it as it passed. It yelped in pain and launched itself away. Noka snarled. Jolither and Shalise chanted, but the wind swept the words away from Arthean. An icy draught assaulted Arthean’s right leg and he looked down to see Noka’s skin flap beating in the wind. Blood wept from the wound the shadow creature had ripped in Noka’s flesh. Anger and fear built into an Arctic rage in Arthean’s chest, burning in a cold fire, then surging upwards. The shadow creature came in again, this time on their left. Noka flapped his mighty wings once and soared upwards on a current. The shadow shot up after them. As it came near, Arthean leant down and took a swipe at it. He missed, but it didn’t. Noka shrieked in pain and plummeted. 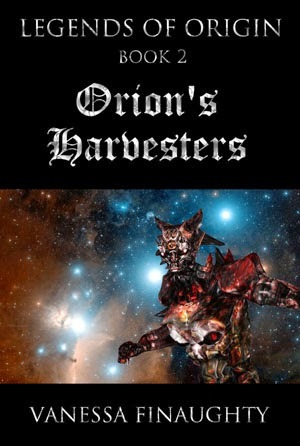 Arthean’s right leg was thrown from its resting place and whipped over the ryokin’s back. The shadow creature had torn him loose. In a daze, Arthean slid from the ryokin’s furry back. The horizon dropped away. The dagger was still in his hand, covered with black blood, its handle hard and surprisingly reassuring, even though it was a child’s toy when compared to the shadow creature’s magic-sharpened claws. Wind rushed in his ears, through his head, it seemed. His right leg snapped with a crack when he was jerked away from Noka, whose skin flaps still secured it. He was battered against the ryokin, but there was no pain. Then Noka regained control and swooped down; empathic to his rider’s plight, he tried to get low enough so he could tip Arthean off without killing him. The shadow was upon them again and Noka put on an extra burst of speed, but the creature kept up easily. Arthean fought the waves of dizziness threatening to devour him; he had to hold onto the dagger. The shadow came alongside and Arthean’s right leg came free in a spurt of Noka’s blood. It was over. He would fall to his death. He had failed Liam. He had failed his Creator. Thanks for the showcase, Lauren. It looks great!